These verses serve as a summary statement of the first part of Hezekiah’s life. They provide us with an example for us and some principles for us to attempt to follow. Hezekiah did what was good, right, and faithful before God. We too need to see to do what is good, right, and faithful. We need to choose good friendships, good entertainment, and good speech. We need to do what is right at home, at work, and when out with friends. We need to be faithful in our commitments, our personal times with God, and our involvement in our local church. All of these can be beautiful offerings before the Lord. Hezekiah sought his God and worked with all his heart in efforts to honor the Lord. We too need to seek God and his direction and guidance for our lives. We can do this through reading and studying the Word, through prayer, through hearing his Word taught at church and youth group meetings, and through the wise counsel of parents or other godly individuals. This takes our whole heart. Truly seeking God and living for Christ require us to pursue him above all else and before all else. Commit today to do what is good, right, and faithful before God with your whole heart. I just picked up your book and am really enjoying it. I know the Lord led me to it through a "Pulpit Magazine" article just last week. 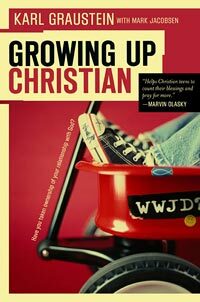 I have been wondering how a childs faith becomes his own in a church/christian/homeschool setting. I am on chp 2 and looking forward to reading it with my son. He is only 9 so I thought we would read it together. One thing that is different in our homelife though is that my husband is unsaved(the Lord called me 4 years after we were already married). I don't know if you address this later in the book or not but maybe you have other resources you could pass along to me if you think of it. Thank you for the book. It is a gift from the Lord who is ever faithful to me. I also noticed you are reading "Mere Christianity." I am gonna pass this on to my sister. She just started to read that and maybe would find some of your thoughts worth a read. Thanks again!